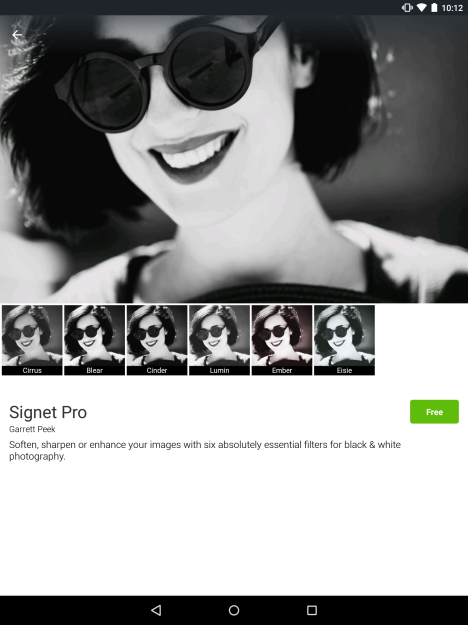 Adobe acquired Aviary back in September, and since then, it's gotten prettier. I mean, the app is still recognizable, but it's clearly spent some time in the gym. Hey, take it as a compliment. With Android 5.0 OTAs rolling out to people, let's address the big thing first. 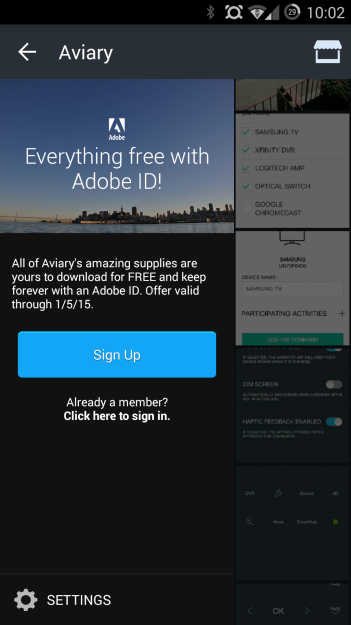 Aviary should seem right at home on a device running Lollipop. This is quite possibly the most integrated the app has ever looked, even if it does still need to work out a few parts a bit more. But for long-time users, that may not be the most exciting aspect of this update. 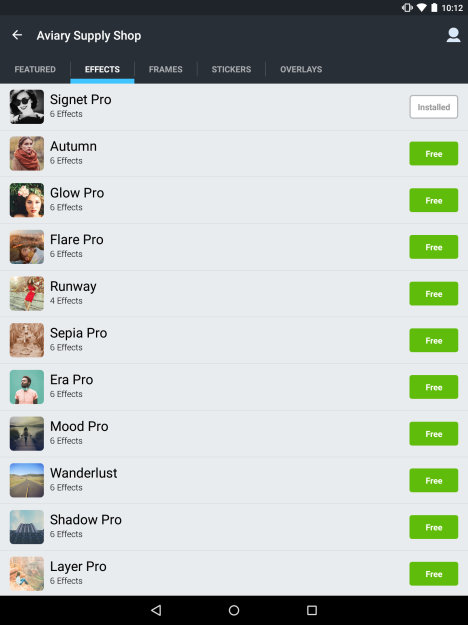 Aviary's ready to give away $200 worth of add-ons. 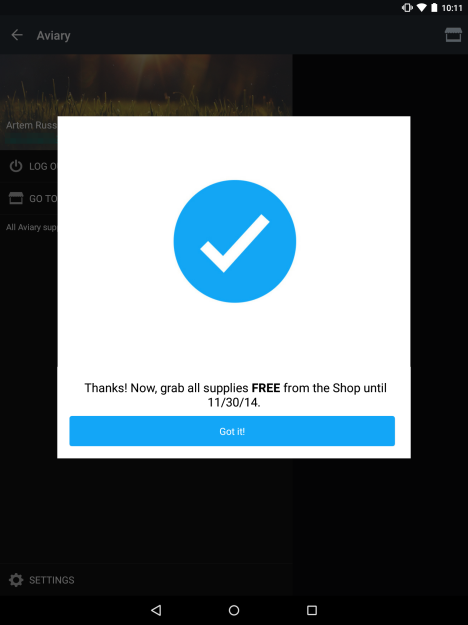 Until the end of this month, you can get the full collection of photo editing supplies for free. All you need to do is sign in using your Adobe ID. While the promotion will only last a few more weeks, the supplies are yours to keep. In addition to these, the update introduces a few new tools. Here's the changelog. Give it a look-see on your way to snag up some free stuff. 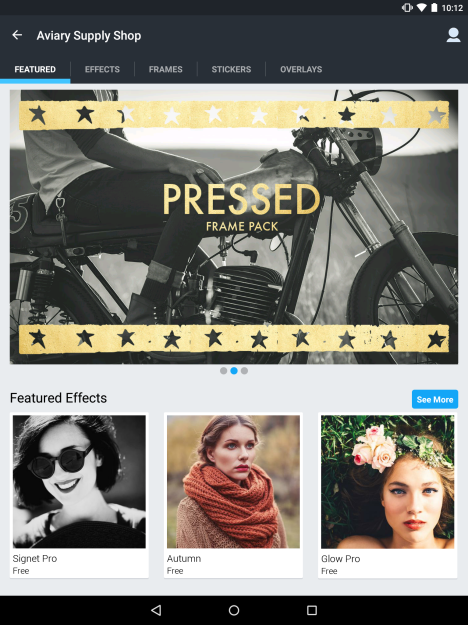 Unlock Aviary’s complete collection of photo editing supplies – a $200 value free for a limited time and yours to keep forever! Also, this version introduces new tools such as Overlays, Vignette, Color and Lighting!